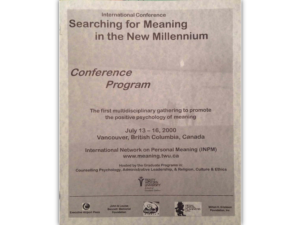 As we celebrate the INPM’s 20th Anniversary, I think it is an important occasion to remember and reflect on the history of the International Network on Personal Meaning (INPM). 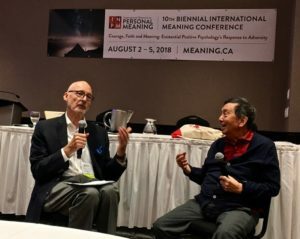 My story will focus on the Meaning Conferences—to review what we have accomplished in the last two decades and to serve as a blueprint for future meaning conferences around the world. The first problem is that, like Bruce Lee, Paul had his own unique ideas about psychology. He refused to be boxed in any single school of psychology, because he believed that psychology should be integrative and pluralistic. 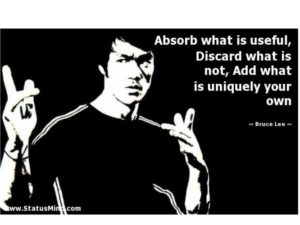 He wants to absorb what is the best in every approach and discard what is not helpful, and then add his own unique insights because of his personal and cultural history. The second related problem is that psychology is fragmented into different silos, and no one is willing to fully embrace him because he could not be an orthodox follower. For example, some Logotherapy leaders considered him not Frankl enough. Some positive psychology leaders considered him not positive enough (see this chapter in Paul’s Autobiography). After many years of rejection and marginalization, Paul finally found a solution—to create his own game—a “Big Tent” where every misfit is welcome, and everyone is free to pursuit one’s own path. 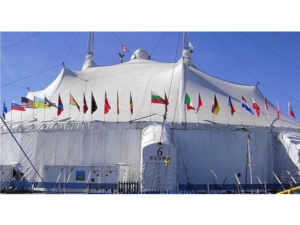 In this Big Tent, we welcome everyone interested in meaning-centered research and applications regardless of their theoretical stripes, disciplines, or nationality. 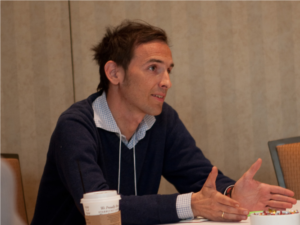 INPM’s Mission: First, to pursue an integrative approach to advance meaning research and applications. Second, to help all people find and use their gifts so that they can give them away to create a better world. How to implement his vision was a daunting and impossible task. 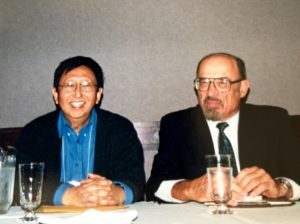 Still working at Trinity Western University, he had the support of his staff, graduate students, and his Academic Vice-President, Dr. Don Page. However, financially, he had to sign a statement promising that he was personally responsible for all the expenses related to the first Meaning Conference. 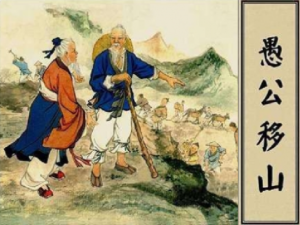 As a result, he started fundraising and marketing. True to his style, he worked day and night, leaving no stone unturned. He made a cold call to Irvin Yalom, offering all expenses and $5,000 dollars honorarium, totally by faith. Similarly, he invited several other keynotes, such as David Myers, Ernesto Spinelli, Jeffrey Zeig, Eugene Bianchi, Salvatore Maddi, and Glenn Affleck by faith, not knowing where the money would come from. His faith and hard work eventually paid off with a successful first conference. Like the proverbial old fool moving mountains, he believed then and still believes now, that his example would inspire many younger people to carry on the mission. 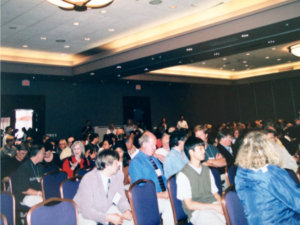 The venue for our first Meaning Conference was the same as for this 10th Meaning Conference, although, at that time, it was called the Airport Executive Plaza Hotel. 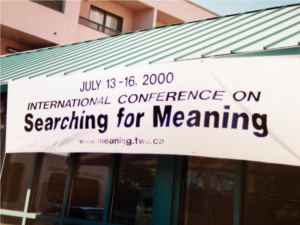 The conference theme was Searching for Meaning in the New Millennium. Paul was excited to see the long lineup at the registration desk on the first day of the conference. 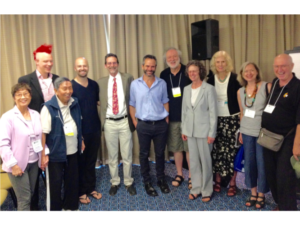 Yalom’s keynote was on the gifts of therapy, based on the new book he just released. He was able to draw a large crowd to his lecture. This is the cover of our first Meaning Conference. To gain broader acceptance within Trinity Western University, Paul made a political move of enlisting other two graduate programs to join him with the assurance that it would not cost them anything. The second theme was significant, because it not only dealt with the core theme of freedom and responsibility in meaning, but also with the challenge of social justice as an external condition in meaningful living. 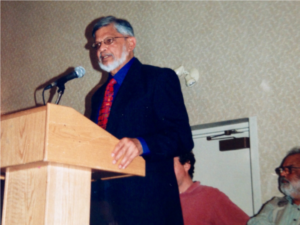 We were pleased to be able to have Arun Gandhi, grandson of Mahatma Gandhi, as a keynote in a Public Address. Arun Gandhi spoke on the non-violence way to achieve social justice. Paul’sphone rang off the hook from people enquiring about this public address. We knew then it would be a very successful event. 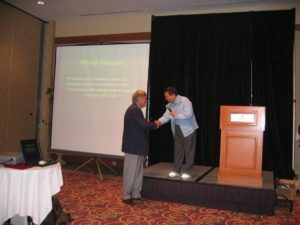 Indeed, he attracted a large audience, especially from the Indian community in Vancouver. A snapshot of people attending Arun Gandhi’s lecture. 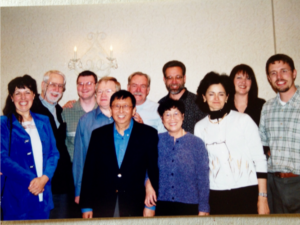 The Chinese young man second on the right happened to be my son Wesley Wong, still studying at UBC at that time. 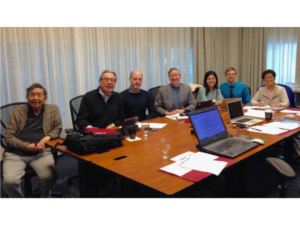 The Board of Directors took on many planning activities. We had the luxury of having a planning retreat for our second meaning conference in Las Vegas, thanks to the unexpected large income tax return for Paul. He contributed the entire tax return (more than $6,000) to cover the cost of the retreat. 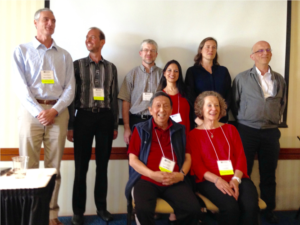 Here were the people present at the planning retreat. 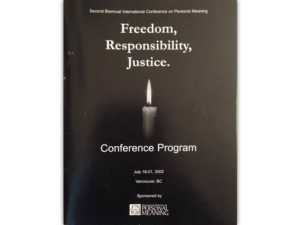 On the right, you can see Salvatore Maddi and Deborah Khoshaba, who have been faithful supporters of the INPM and the Meaning Conferences from the very beginning. 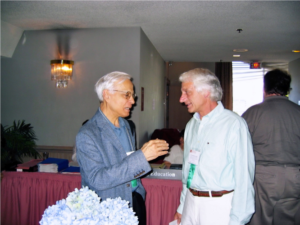 Over the years, we have invited many prominent speakers in positive psychology and humanistic-existential psychology, as shown in the following photos. 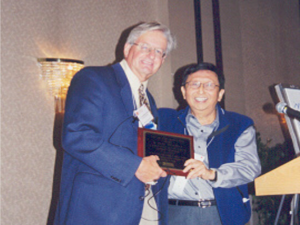 Here was our friend Dr. Christopher Peterson. 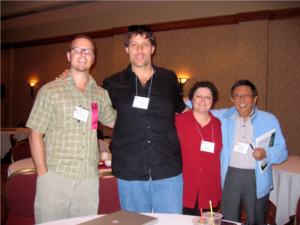 He passed away unexpectedly a few months after speaking at our Meaning Conference. 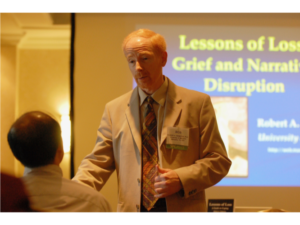 Dr. Robert Neimeyer has been our speaker for years, drawing many attendees to his workshops on grief counseling. Here is George Valliant from Harvard. Dr. Alfried Längle and Dr. Salvatore Maddi chatting. 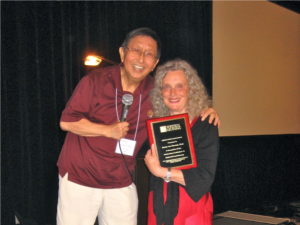 Our friend, Dr. Emmy van Deurzen, receiving her INPM Lifetime Achievement Award from Paul. 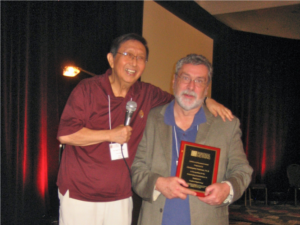 Dr. Donald Meichenbaum, one of the most influential psychologists in cognitive behaviour therapy, receiving his Lifetime Achievement Award. 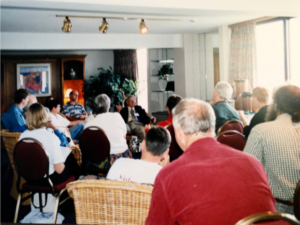 Many conference attendees met with Donald Meichenbaum at the informal “Meet the Speaker” session. Dr. Alexander Batthyány, Director of the Viktor Frankl Institute in Vienna, has been a strong supporter of the INPM in its early days. Unexpectedly, Tony Robbins and his family attended our Meaning Conference in Vancouver and gave an informal talk to interested individuals. We did not have to pay him for speaking. Here is Tony, with Dr. Winter and his wife. 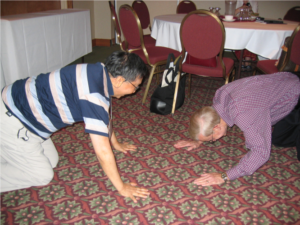 Paul Wong and Garry Landreth, a leader in play therapy, practiced humility by greeting each other on all fours. 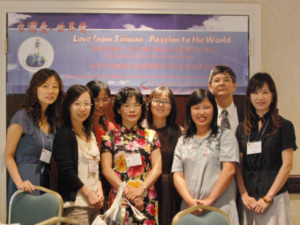 Group photos of conference participants from Taiwan. 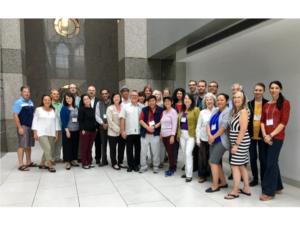 There were more than 20 delegates from Taiwan in this year’s Meaning Conference. 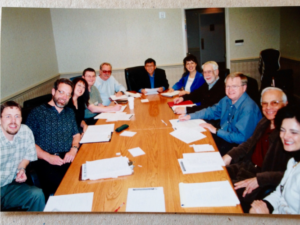 This snapshot of a staff meeting was taken in our home a few years ago. 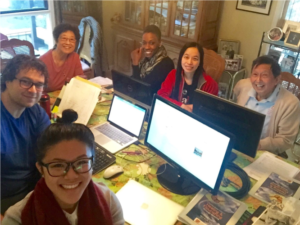 Evelyn Tam, at the forefront, will be leaving us for Hong Kong in September this year. The one behind her was our past webmaster, who is no longer Board retreat last year.with us. 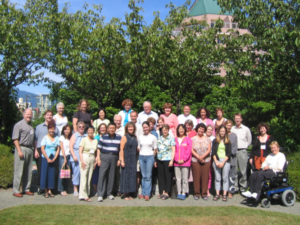 This is a photo of our first Summer Institute in Vancouver in July 2005. This was our Summer Institute in July 2017. An equal number took the course online. 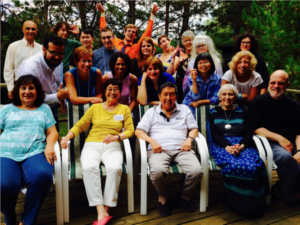 One of the group photos of Meaningful Living Meetup Group in the backyard of our home. 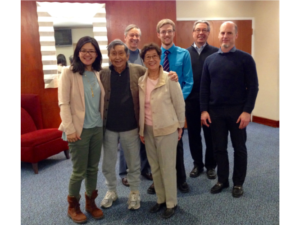 Here is another Meetup group in our living room, where the Meaningful Living Group meets. Sometimes, we have had over 40 people attending. 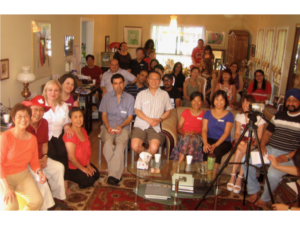 We have had people attending from all walks of life and all faith traditions (for teaching materials used for the Meetups, visit www.inpm.org). We are thankful that we still have supporters from the beginning. 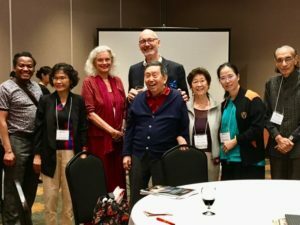 In addition to the regular INPM Projects, such as the Meaning Conferences, Summer Institutes, Journal, Newsletter, and Meetups, Paul enjoys mentoring numerous younger professionals as evidenced in the various testimonials at the recent Meaning Conference Celebration Banquet. He often gives his time and energy contributing to the personal and professional development of others without getting any credit. In the past 20 years of serving the INPM, he has set an example of servant leadership in serving others with the spirit of love and generosity. Meaningful living is a way of life that brings out the best in us while healing the worst. The [Meaningful Living Project] can become a grassroots movement when more and more people embrace a purpose-driven life as a simple and effective way to transform lives and the world regardless of the circumstances. Paul’s main disappointment in his role as President of INPM is that he has not been able to translate his idealism into organizational and financial success. He feels that he has failed to develop enough Board members, who not only share his Big-Tent and bottom-up vision, but also his practice of making personal sacrifices to ensure the INPM’s financial viability and standard of excellence. 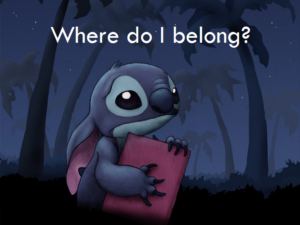 This entry was posted in Speaking, Writing. Bookmark the permalink. Both comments and trackbacks are currently closed.